What could be better to enhance the femininity that a pair of high heels? 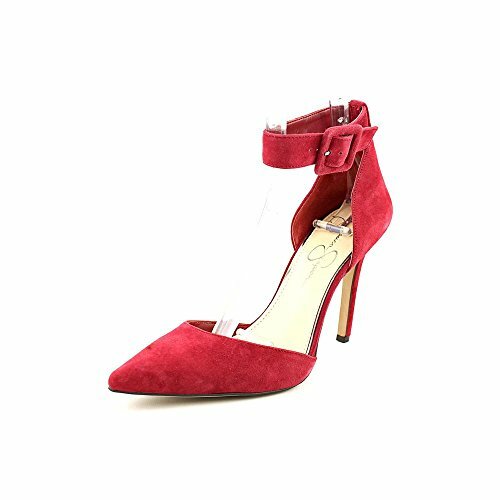 The proposed model (Jessica Simpson Cayna model: Js–cayna) has the stiletto heel, is not the classic décolleté but is portable and elegant. Certainly each has its own preferences, but this shoe can be worn well with a tight-fitting dress for a sensual effect but also with a pair of pants with a slim line while creating an equally feminine effect best suits the cold season or evenings at ‘ the open. This model made of suede lacing at the ankle with a padded strap that can be adjusted to better fit to the ankle. The heel is also covered of suede of the same color of the shoe.